A lot has been written recently about the various generations at work and their attributes, for example generation X, generation Y and generation Z. 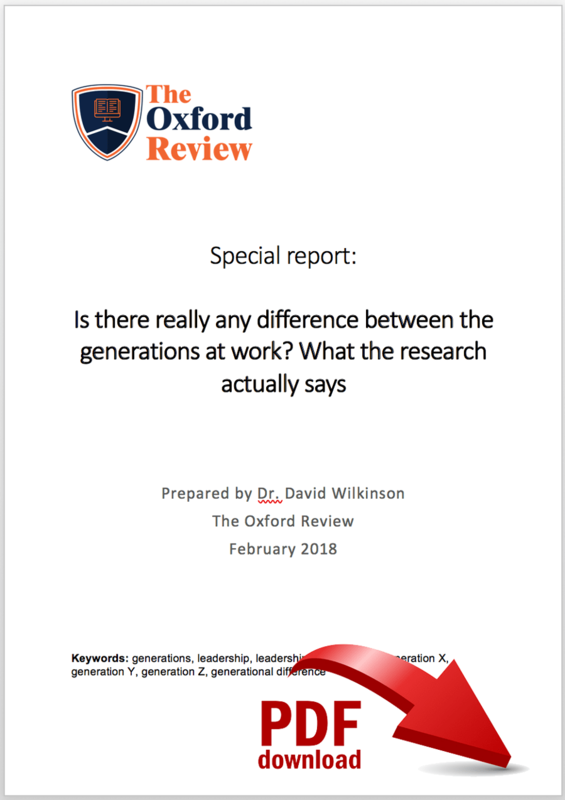 Indeed, there have been a number of published papers on these very topics trying to identify the differences between the generations at work. The question is is there really any compelling evidence to suggest that the generations really are different from each other? A new series of studies by researchers from the UK, America and Germany looked at the research evidence over the years to see if there is any evidence for generational differences that are relevant to leadership, followership, leadership development and general work outcomes. The original idea about generational differences first really raised its head in the research literature around 1927 when researchers claimed that new ‘birth cohorts’ bring a new set of perspectives and a form of shared consciousness to the problems that they see and face as they mature….